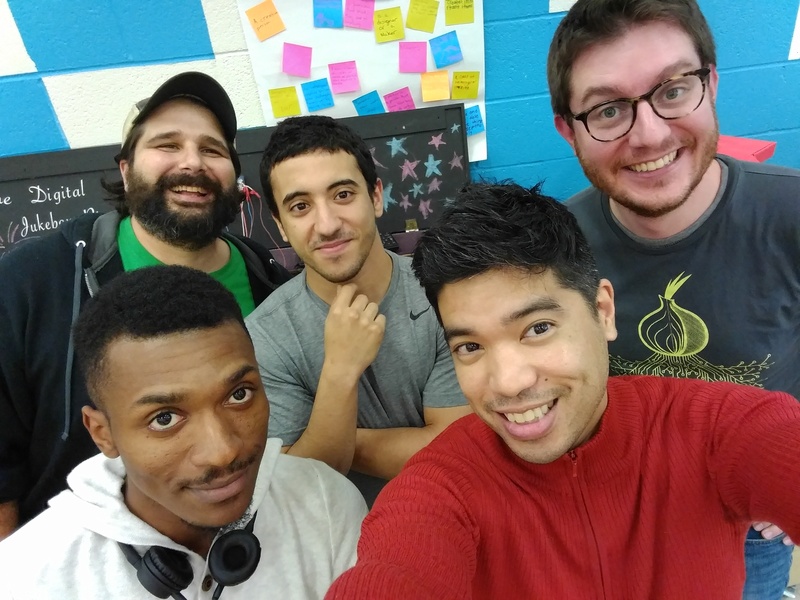 Baltimore's third Homebrew Website Club meet up happened at the Digital Harbor Foundation Tech Center on 11/30/2016. We had a nice quiet writing hour followed by some quick introductions, lots of progress on projects, and some new attendees! Marty McGuire (co-organizer) - Been working on displaying reply contexts and manually POSSE-ing, sending webmentions. Also set up a self-hosted copy of Woodwind to keep following other IndieWeb sites. 2017 commitment to improve handling of images so posting to my site doesn't take forever and each page load doesn't include huge full sizes image by default. Jonathan Prozzi (co-organizer) - finished setting up site on DigitalOcean, powered by Hugo. Has front page h-card working and logged in to IndieWeb wiki to RSVP to this event. Created a 2017 commitments post tonight. Brian Young - Captured a ton of ideas for what to do next as Google Tasks. Started with IndieWeb Wordpress plugins and getting the feel for them at brianey.com. Using it as a test site for playing with indieweb features. Also started a new site imnotwrong.com, a humor site featuring a bad/fake/satirical advice column. Also has POSSE working on uncannycreativity.com to Tumblr and Medium. Adam Bouhmad - Started working on a site for collecting malware samples and other interesting code specimens for security research. Derek (no site, yet) - Teaching front-end web development to folks recently released from prison. Is pretty new to web development himself, so picking up new skills to stay ahead. Been working on converting a video tutorial about HTML+CSS menu bars into a workshop for students. Digging into gridview for the next class topic. We had a great discussion and were all grateful for the dedicated time to working on our sites. We hope you'll join us for our next HWC Baltimore on 12/14!